Shea loved this filly from the first moment he saw her, she's an out and out athlete with a great attitude and a lovely flowing walk. Shea honed in on the progeny of Zebedee at the yearling sales this year due to the stallion's outstanding record in Europe with two-year-olds, having sired over 100 individual two-year-old winners. 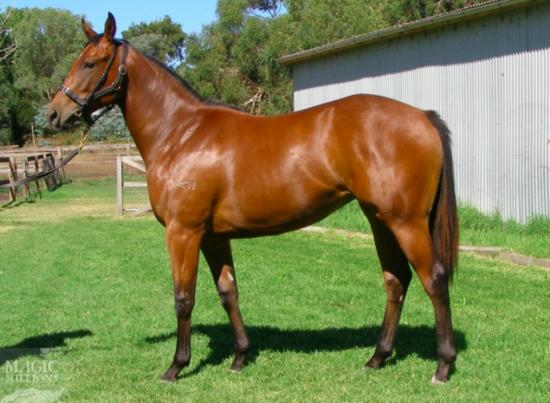 This filly can be owned in a package with the Zebedee x Taransay gelding. Science Fiction (g. by Bernardini). 2 wins at 1200m, 1400m, Singapore TC Initiation P., Kranji D S., 2d Singapore TC Initiation P., Class 4 H., 3d Singapore TC Kranji D S.-3 times. Griqua (g. by Ad Valorem). 2 wins at 1400m in Aust. Shera Khan (f. by Magnus). Placed at 2 & 3 to 2017-18, 2d SAJC Ubet P., 3d SAJC Ubet H.
Viaductress. 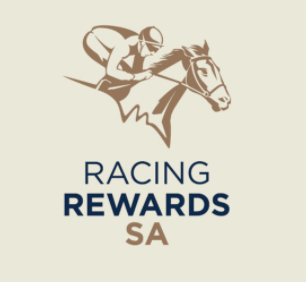 5 wins to 1350m, A$110,870, to 2017-18, ATC Tab.com.au H., TAB Rewards H., GCTC New Gallery Menu H., Ipswich TC Carlton Draught H., 2d BRC Veuve Society Membership H., 3d ATC Schweppes H.
Bride's Dowry. 7 wins from 1400m to 2000m, R391,175, Fairview Racing It's a Rush H., Itsarush.co.za Open H., 3d Fairview Walmer H., Lochhead White & Womersley H.
Muthiah Pillai. 5 wins at 1800m, R226,300, Vaal Soccer 6 H., 2d Vaal River H., 3d Vaal Free Entertainment H.
Big Johnnies Gem. 2 wins at 1300m, 2000m in Aust. KING IVOR (Fairy King). 6 wins-2 at 2-from 1200m to 1600m, A$336,628, STC Premiere S., Gr.2, VATC Sandown Guineas, Gr.2, AJC Toi Port H., Chantal H., PH Osborne 2YO H., STC Riding For the Disabled 2YO P., 2d VATC Autumn S., Gr.3, VRC Carbine Club S., L, 3d STC Theo Marks H., Gr.2, VATC Mercedes-Benz S., L, 4th VRC Australian Guineas, Gr.1, MVRC Waterford Crystal Mile H., Gr.2, STC Heritage S., L. Sire. SNAKE EYES (Dixieland Band). 16 wins-1 at 2, US$908,765, Hawthorne Derby, Gr.3, Arlington Park Round Table H., Gr.3, Stars & Stripes H., Gr.3, Fair Grounds Breeders' Cup H., L, Arlington Park Isaac Murphy H., L, Fair Grounds Explosive Bid S., L, Colonel ER Bradley H., L, Remington Park Norman H., L, 2d Arlington H., Gr.2, Arlington Park Stars & Stripes H., Gr.3, Keeneland Elkhorn S., Gr.3, Churchill Downs Jefferson Cup, L, 3d Fair Grounds Explosive Bid H., Gr.3, Santa Anita Volante H., Gr.3, Churchill Downs Louisville H., L-3 times. LINNEY HEAD (Lyphard). 3 wins-1 at 2-from 7f to 1¼m, Sandown Classic Trial S., Gr.3, 3d Sandown Henry II S., Gr.3, Newbury Aston Park S., L, 4th Milan Gran Premio del Jockey Club, Gr.1, Chester Ormonde S., Gr.3. Sire. Mr Love (Love the Groom). 14 wins from 1000m to 1600m, Rome Premio Piazza Navona, Premio Ribocco, 2d Rome Premio One in a Million, 3d Rome Premio Capannelle, L, Premio Altrek, Premio Sabla. CALL ME HENRY (Hennessy). 20 wins-1 at 2-from 1000m to 1600m, A$387,795, WATC Belmont Newmarket H., L, Perth Ice Works Trophy Welter H., Amelia Park Racing Syndicate Welter H., Prince of Pop Welter H., AJC Malabar H., STC Edgell H., WATC Healthy Food H., Tristram's Gold H., Dale Gold H., Movie Maker H., Bold Kite H., Gypsy Lad H., 2d WATC Ruabon S., L, Goodwood Sprint H., L, AJC Jack Ingham P., WATC Ace in Flight Welter H., Morven Warrior Welter H., STC Nivea Visage Girls Day Out H., WATC Ingram Micro & Toshiba H., Parthenon H., 3d STC Fresh Salads 2YO H., WATC Singapore Turf Club Trophy Welter H., Pink Healthcare Trophy Welter H., Illawarra TC The Freeway H., WATC Flying Colours Restaurant H., Sprite Recharge H.